Thanks for the post and the response. This is an issue we experienced. CP2017, version 10.0.1.285 has disabled AutoPlay for HTML output, also for non-responsive projects. 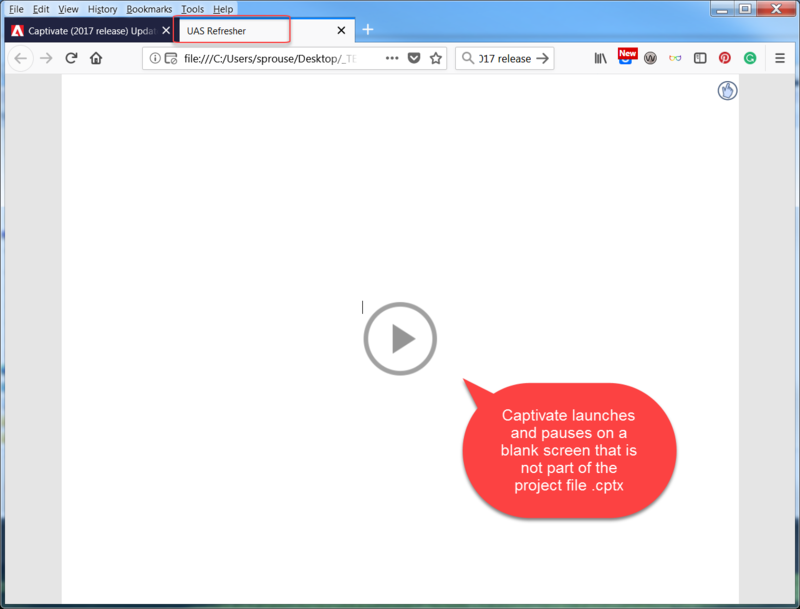 Reason: Chrome browser, recent version did disable AutoPlay, and it looks like this will e the same in the foture for other browsers. You can also roll back to the previous version of 2017, to have a (temporary) solution and enable AutoPlay for desktop/laptops. It was always disabled for responsive projects, because many mobile browsers do not allow AutoPlay neither. Thanks Lieve, that explains a lot and will give my team the information they need to move forward. A little more work for each project, but we can work with that.